Do you need to exchange your licence? Do you need to hand in your UK driving licence? To exchange your driving licence before Brexit – or, indeed, after – you will have to hand in your UK licence. 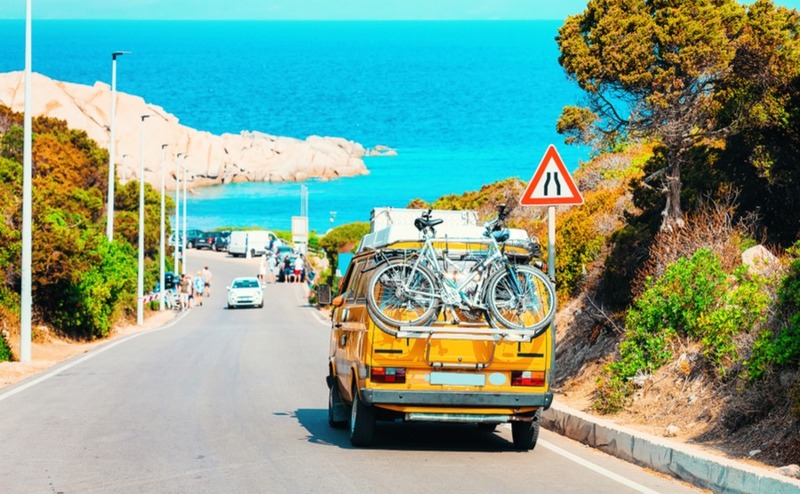 Driving licenses issued by countries belonging to the European Union or the European Economic Area are equivalent to Italian driving licenses and so up to now expats haven’t been required to exchange them until they approach their expiry date. With the uncertainty of Brexit and what kind of deal will be made in the future, UK citizens resident in Italy are being advised to get theirs done now. In a no-deal Brexit, we would likely need to take another driving test to get the licence. However, with the uncertainty of Brexit and what kind of deal will be made in the future, UK citizens resident in Italy are being advised to get theirs done now. The worst-case scenario would be no agreement, and that like the Americans, we would need to take an Italian driving test and theory test to get an Italian driving licence. Where do I apply for an Italian driving licence? According to the Italian Ministry of Infrastructure and Transport, applications should be made at an Ufficio Motorizzazione Civile. You can find your nearest office by selecting your province in this useful search tool. It gives the location, contact details and opening hours. I chose to do mine directly with them, but If it seems like a long way to travel, you can do as my husband did, and look for a local agent who will fill out the application, make sure it has everything necessary attached to it and post it to the Motoring Office. This is when the Automobile Club d’Italia (ACI) come in useful. They have Motorist Telematic Desks (STA) in most towns, which primarily deal with vehicle registration, transfer of ownership, and vehicle exportation. If you have any questions, give our Resource Centre a call on 020 7898 0549 or send us an email at italy@propertyguides.com. By Google-searching ACI with the name of our town, we found a list of local agents and our nearest agent was able to help with the forms. We have also heard of local driving schools offering the same service. They will charge a fee for this, so shop around. 1. Form TT2112 – Which you can get from the official offices and as a pdf. from the Italian Ministry of Infrastructure and Transport website. 2. Two identical passport-size photographs, one of which is authenticated (stamped and signed by an official). 3. Payment of €10.20 on the current account number 9001 and payment of €32.00 on the current account number 4028. (Payment slips are at post offices and motorisation offices). 4. UK/EU driving licence. Photocopy of the front and back and the original. 5. Identification document. A photocopy, and the original for them to see. I gave them a copy of my UK driving licence and my Italian “Carta D’Identita”. 7. Medical certificate (original and a photocopy). This must have a tax stamp on it costing €16.00 and your photograph. It must be dated not earlier than three months before and be issued by a qualified Italian doctor. The doctor will stamp and sign the certificate. The motoring agent should be able to tell you where to go locally for this and what category of test is required. This may depend on your age, any medical conditions and the expiry date of your licence; ours just involved a very basic eye test. Firstly, he visited some local agents and asked them if they could help with the application and how much they charged. He went with the one that seemed most confident that he knew what he was doing. He quoted €110 to fill in the paperwork including photocoping, paying the 9001 and 4028 payments, making phone calls and emails to the Motoring Centre to check the forms were correctly filled in and posting the documents to them. Find out about living in Italy if there’s a no-deal Brexit in our free guide, Italy After Brexit. Marcus had to arrange the medical and photos himself, so he began by getting a set of four identical photos taken at a local photographers. He just asked for “fotografie per una patente di guida” and they took a photo and printed out four copies straight away, charging €6. He then headed to the recommended Italian Health Service eye doctor (Azienda U.S.L.). Explaining he needed an eye test for his driving licence, the doctor gave him a prescription to take to the CUP desk at the main hospital. There he had to pay €22.40 and was given a “Certifico Medico” document to take back to the eye doctor. Exchange your driving licence before Brexit and you’ll be ready to hit the road after 29 March! In our town this department of the hospital is on the other side of town, so it involved a whole morning of going back and forth. On the way, he should have also picked up a tax stamp (marca da bollo) for €16 from an authorised Kiosk or Tobacconist (Look for valori bollati on their sign). Fortunately, this eye doctor kept some in his wallet to sell to anyone who doesn’t know what they are doing. But, Marcus was able to give him the required photo to go on the certificate and a photocopy was taken of his Carta D’Identita. After reading the letters on a simple eye chart, the doctor signed and stamped the certificate. Next, he visited the offices of the Comune to find someone to sign and stamp one of his other photos, to verify it was his ugly mug. Finally, he was able to return to the agent with a medical certificate and two photos (one authorised) and hand over his UK driving licence. Other than answering some questions about address, date of birth etc. and signing the application form, the agent then dealt with the rest. In total it cost €154.40 and he was told to come back in 15 days to collect his new card. I on the other hand decided to try another approach, and cut out the middle man. I got my photos (€6), tax stamp (€16) and Medical certificate (€22.40) in the same way, and photocopied all my documents myself. I then drove 30 minutes to the nearest Ufficio Motorizzazione Civile. They informed me I needed to make the 9001 (€10.20) and 4028 (€32.00) payments at a post office as their machine wasn’t working. Not knowing the area well, we had to drive into the town centre and find a post office and pay €1.50 to park near it. Italian Post Office workers are famously slow. After taking our numbered ticket we waited about 50 minutes for our turn. I was then told to step to one side and fill in the slips with my name and address. A bit confusing as where your name goes said “Eseguito da” which translates to “Performed by”. “Residente in via” is the road name, “CAP” is your town post code and “Localita” is the town. These boxes were printed red, which made it look like they were for the teller to fill in, but he said he was too busy. Still I was charged €1.78 counter charge on each. By the time it was done and paid, it was too late to get back to the Motoring Office before closing, so we went for a coffee instead. This resulted in having to make the same 30-minute journey the following day. Fortunately, despite the teller in the Motoring Office being busy with customers, he kindly kept an eye on me filling in the form and answered my questions when I wasn’t certain what to write in what boxes. You have to put the town you were born (luogo di nascita) as well as your current residence (residenza) and apparently it is “normale” to always print your name next to your signature. 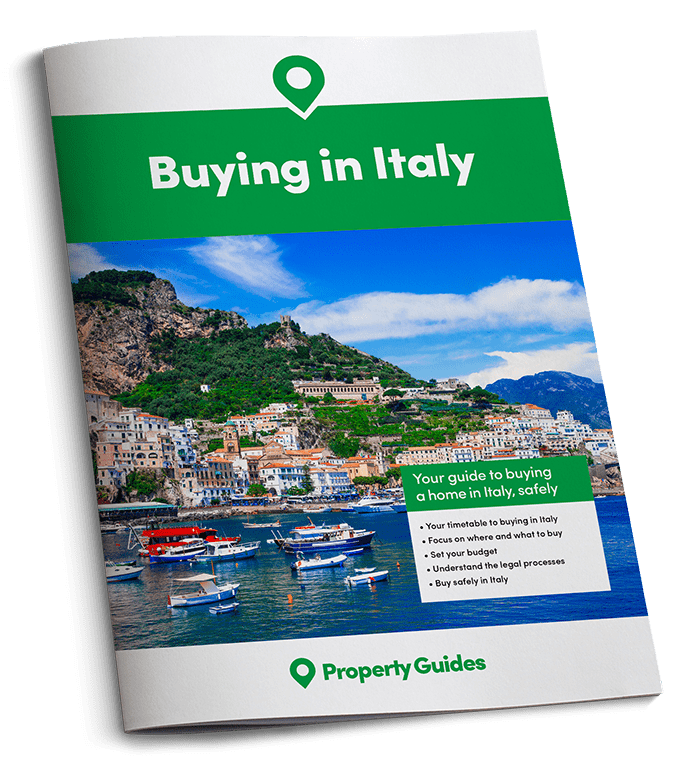 Want to know more about purchasing or living in Italy after Brexit? Speak to one of our trusted lawyers for advice. Someone else then checked everything was present and correct and I was told everything would then be sent to Rome, where they contact the authorities in your previous country of residence to check that your driving licence has not been restricted, suspended or withdrawn, before issuing your new Italian driving licence card. They said it takes 15 days, but to come back and collect it in 20 days to be sure. In the meantime, I got to hang on to my old UK/EU licence. Doing it myself worked out around €44.24 cheaper than using an agent, at just €90. 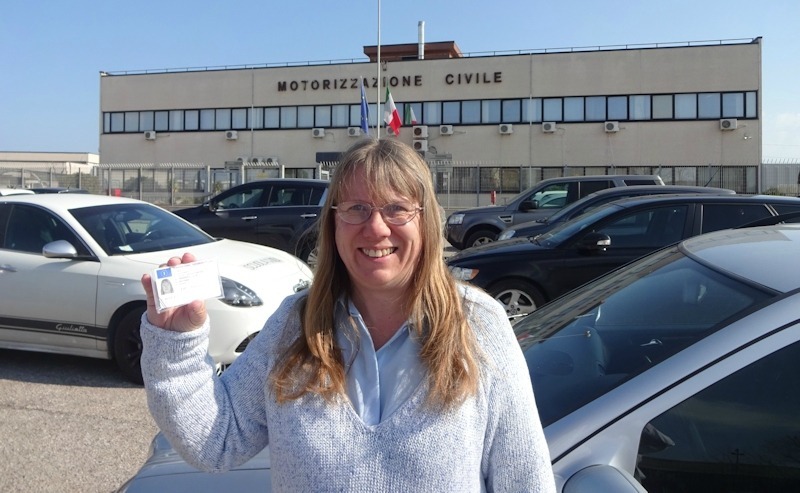 After 20 days, I collected my new Italian driving licence and had to hand in my UK one. The only differences are that the Italian one is valid for just A and B categories on the back of the card and it has to be renewed in 5 years’ time, rather than 10 years for the UK one. The whole procedure cost me €90.16 plus about €20 worth of fuel driving back and forth. Still, it worked out €44.24 cheaper than going through the agent. You may find a friendly agent that will exchange your driving licence before Brexit cheaper. The question is, will I now start driving like an Italian?